“The Most Excellent Way” (TMEW) is LOVE according to I Corinthians 12:31 and 13:3-8. 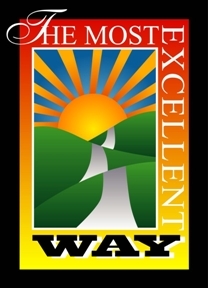 “The Most Excellent Way” is a loving group of men and women affected directly or indirectly by drugs, alcohol, or other life-dominating sin. We utilize the Biblical principles to overcome guilt, frustration, hopelessness, fear, and shame associated with addictive behavior. We believe a person can become totally free from addiction and compulsive behavior only by the power of the indwelling Spirit of Christ Jesus. “The Most Excellent Way” is to be reconciled to God, the Father, through belief in Jesus Christ. If God is tugging at your heart concerning serving Him in this ministry please see/contact Mendall Rogers at mrogers@calvarychapelarlington.com. Write your name and contact information on TMEW clipboard that is on the table at the back of the church. Attend one of TMEW Monthly Facilitators meetings held every first Sunday of the month at 2:00 pm at Calvary Chapel of Arlington. To become familiar with the ministry: Select a Support Meeting day and time and attend two consecutive meetings. (Inform Mendall Rogers as to when you would like to begin attending the meetings so that your visits can be approved by the Parole Office). Have a required meeting with Pastor Troy Warren and/or Sr. Pastor Kerry McDaniel. Complete the Texas Department of Criminal Justice (TDCJ) Volunteer Application. Begin training as a TMEW facilitator. Please pray for the 85 parolees we are currently serving. Many of these parolees were released from prison as late as two weeks ago; some were released 2-12 months ago. Some have been out of prison for 1 year to several years. The majority of them are looking for jobs and dealing with family issues/relationships. Many of them have health issues. Addiction to drugs and/or alcohol controls the life of these parolees, our students. Pray that the 12 weeks that they spend in the TMEW classes will not be just another program to get through. But, that they will open their hearts and minds to God and realize and accept the love, peace and joy that He wants to give them through Jesus Christ. Please pray for salvation in Christ Jesus for the parolees, for their spiritual growth, and that they will have productive lives in the will of God. Please pray for the current TMEW Facilitators: Troy and Pat Warren, Frank and Yvonne Webster, Foster Lanham, Patrick Culligan, John Smith, Max Walton, Blair and Yolanda Beatty, and Mendall Rogers. We thank God for adding five facilitators to this ministry. Please pray for facilitators for the Thursday(6-7pm) class. …Honesty: I honestly examine myself in the light of God’s Word. You are the salt of the earth;…You are the light of the world…Let your light so shine before men, that they may see your good works and glorify your Father in heaven.